I waited to eat breakfast at tea & toast. 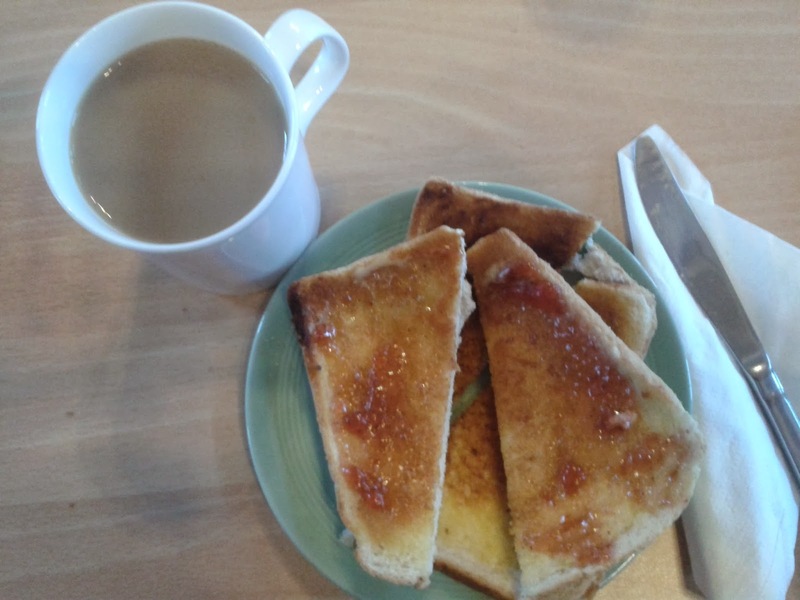 I had a white coffee and white bread crusts with strawberry jam and lemon curd. Yummy homemade jam. We also had a bit of a cakey morning. 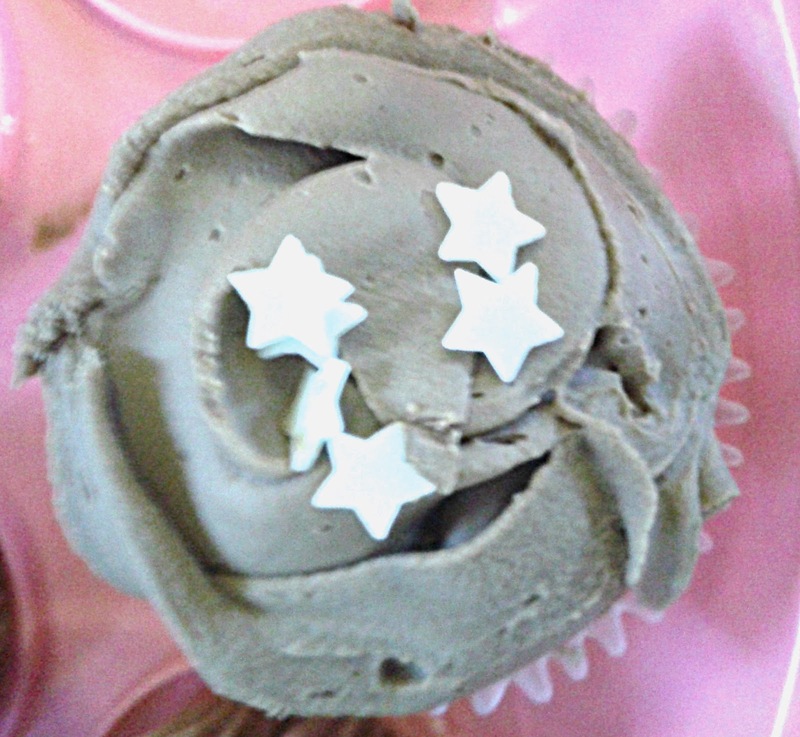 This is a chocolate and caramel cupcake. For lunch I had spaghetti bolognaise. I originally made this for the boys' tea whilst I'm in the office, so had a little bit now. 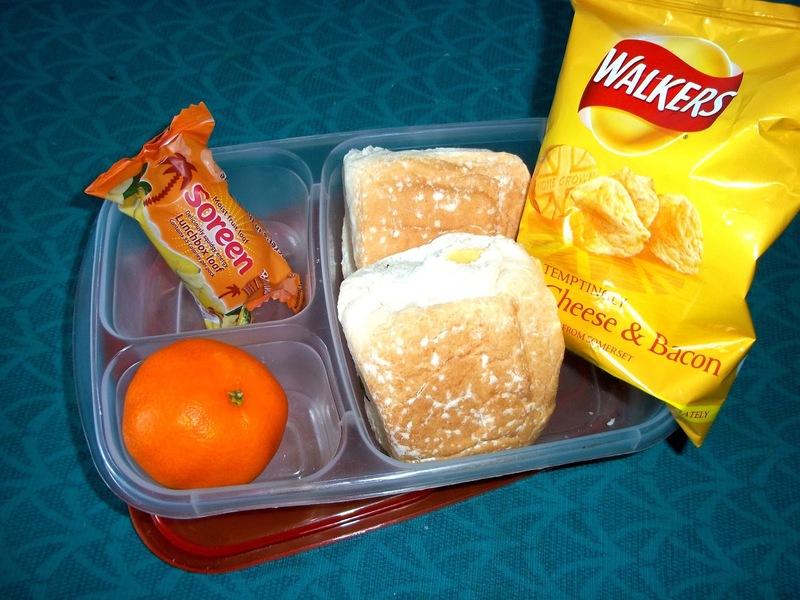 I took a packed lunch to work, cheese and cucumber sandwiches, a tangerine, some cheese & bacon crisps and a Banana Soreen Bar. I love these Soreen bars, fantastic for packed lunches. The banana ones taste like banoffee. 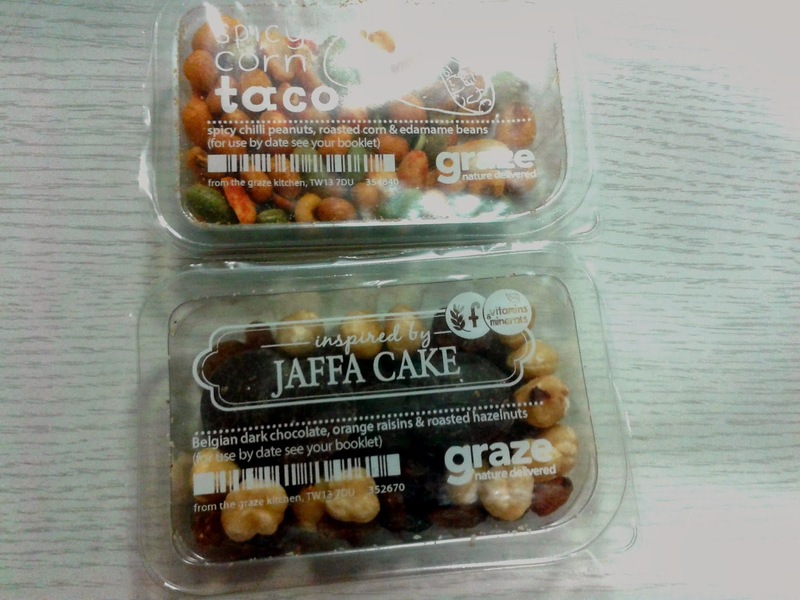 As I was in the office I also took some items from my Graze.com box to snack on. I love dark chocolate so the Jaffa Cake punnet is a proper treat.